We have just featured a penthouse yesterday. Today, we have another penthouse with a beautiful design. It is a condominium interior and architecture transformation that we would all love. The makeover turned the penthouse into a permanent residence. It has skillful crafting of contemporary architectural details while it has the city as its backdrop. It sure is a beautiful home especially that it used wood extensively. It also has some Asian art and religious sculptures as well which is part of the owners collection. Despite the small space, the penthouse is a lovely and cozy home. The owner of the house is founder of the Rhombus Media Niv Fichman who chose Drew Sinclair, principal of regionalArchitects to design the interior of his 1,200 square foot condo unit is located in Toronto, Canada. 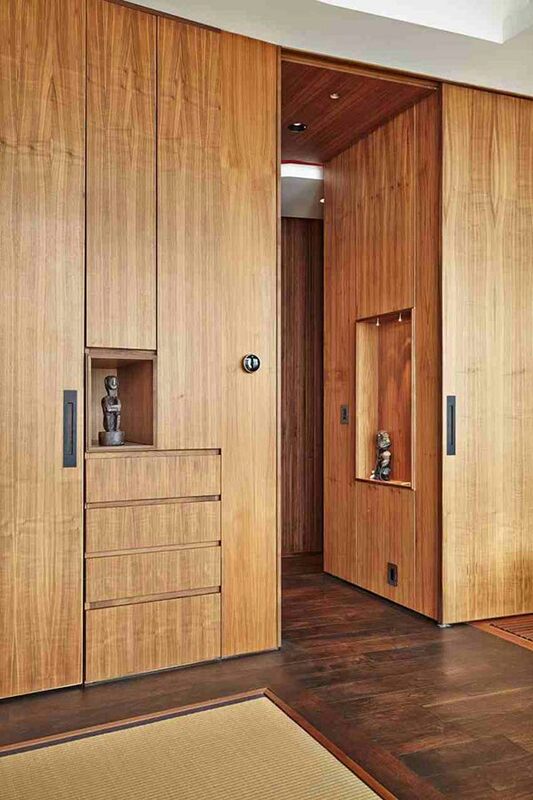 The interior is lined with matte-finished walnut with a corridor that reorients visitors and direct them to the views of the penthouse’s interior and exterior. To conceal private spaces like the laundry, second bedroom, and library, sliding panels were used. You will even be surprised to see that there is something behind a door. Now, come join a virtual tour of the penthouse below. 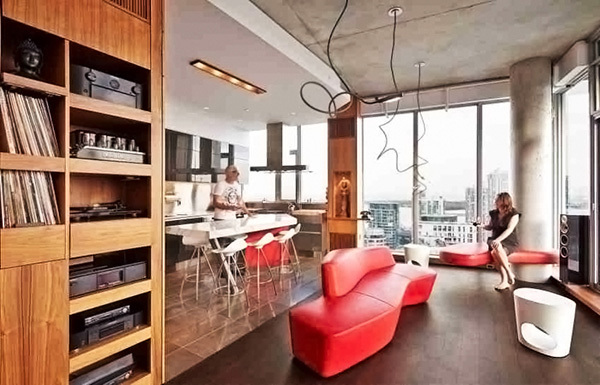 The penthouse is a beautiful urban dwelling that has a contemporary design with a subtle Asian and modern touches. What you see here is a bathtub. Yes this is the bathroom with wood everywhere. See that open space? The folding door you see above will lead them to the living area and kitchen. Amazing, right? 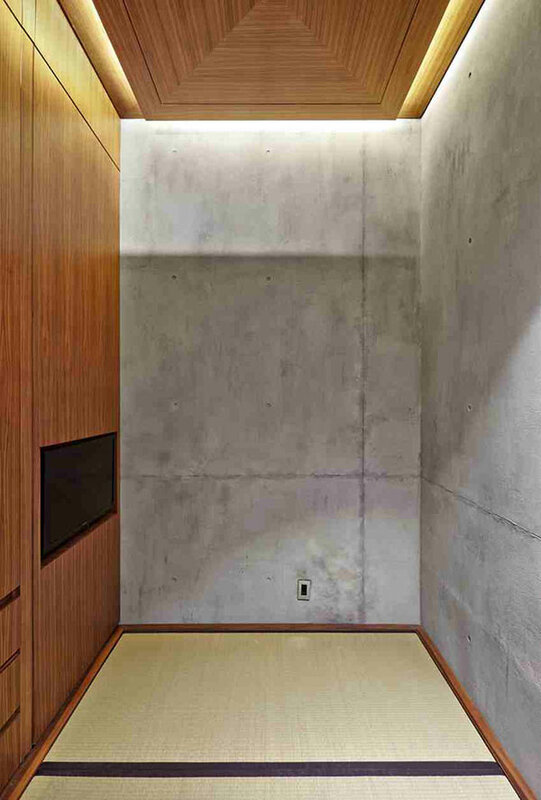 This space has a Japanese style wherein the tatami mats are used for working. During night time, it turns into a sleeping area. The bathroom and sleeping area is just beside each other. 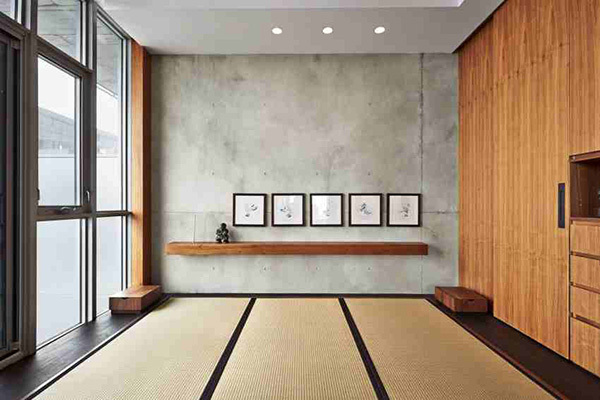 Don’t you just love the Zen feel of these spaces? Who wouldn’t love the woodwork of this interior? Everything is indeed skillfully done! In the house, you can see Asian and religious sculptures that are displayed in softly lit niches, alcoves, and grottos scaled for specific artworks. Sliding doors are used everywhere as well as built-in shelves in order to save some space. You can see here a mat on the flooring so that one can just sit on it when he wants to be entertained using the television. 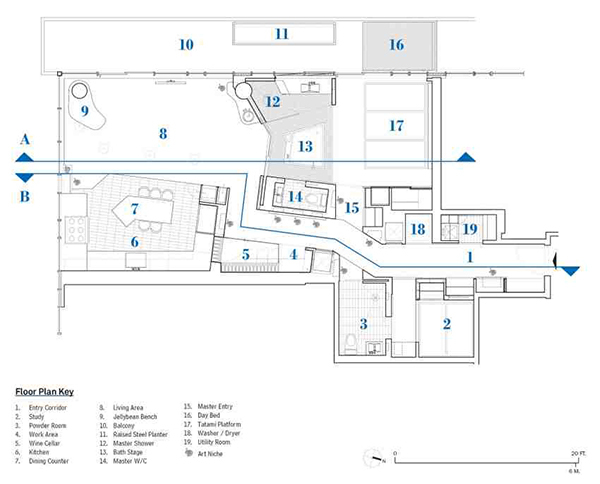 This is the floor plan of the house. It does look spacious here. And this is a cross-section of the house showing some details of the interior. 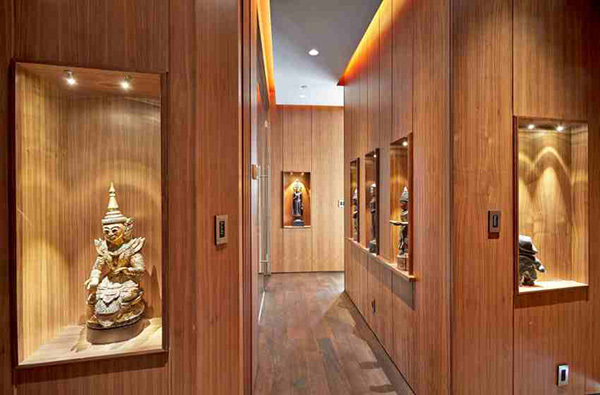 Wood is indeed widely used in this interior! The regionalArchitects maximize the use of space as each serves multiple purposes just like how a desk becomes a wine sorting shelf, a millwork grille becomes a fold-down ironing table, and a thickened millwork wall encloses mechanical and electrical equipment. It also followed the Japanese tradition wherein the sleeping futons are kept each day so that the recessed tatami mats can be used for work and for entertainment. But the highlight of the interior is the millwork with its practical application and beautiful design. Do love that feature of the penthouse, too?